Hi my name is Donald Pettigrew. I Live in North Western Ontario where I am fortunate to have lakes all aound me. This is great because I spend most of my free time fishing. 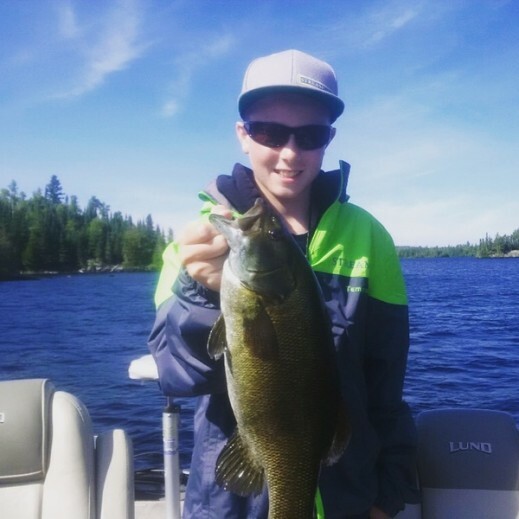 I have fished in lakes around Ear Falls Atikokan and Greenstone. Growing up in Atikokan Ontario I learned how to fish many different species, such as walleye, bass, trout ,crappie, pike and even white fish. My Family is moving to Thunder Bay which will centrally located me to many of the great areas I already know and will alow me expand my horizans. By the time I was 13 I had cut enough lawns to buy my first boat but I also spend alot of time with my dad on his as well. I started fishng tournaments in 2011 which I realy enjoy and hope to increase in the coming years. Over my fishing life I have landed several 30 inch class walleye and Small Mouth over 5 pounds. I am very excited by the opportunity to join the Stream Side Team as a Junior Pro-Staff and look forward to bringing you updates of my angling experiences.